Based in the Dallas/Ft. Worth area and a second Headquarters in Bellevue, Washington, Engaged Real Estate Group specializes in relocating families between the Seattle area and the Dallas/Ft. Worth Metroplex. Our experienced agents work with many executives and families alike relocating between the state of Washington and Texas. only strengthens Engaged Real Estate Groups ability to bridge the gap between relationships and technology for our clients. We pride ourselves by giving time back to our clients. We take care of every detail during each transaction. We not only have individual agents, but a team of contract to close licensed agents who are responsible for making sure we get you to the closing table on time and are compliant. Top marks across the board! We can’t say enough about Terri and her entire team. We were relocating to Texas from Bellevue,Washington and Terri’s knowledge of the area and negotiation skills were unmatched. From start to finish, she made the entire process of buying our home (remotely) as seamless as possible. She was always prepared and very focused on our transaction.Not only can you rest assured you are in the most capable hands, but those of a friend. We will recommend Terri and her team whenever asked and could not make a stronger endorsement, if you are looking to buy or sell a home. Terri helped me purchase my home in the summer of 2017. She listened to my needs and wants as a single mom and truly searched high and low to find the perfect home for me. Once we decided to put in an offer, she quickly negotiated a price below asking (which is tough to do in the seller’s market we were in) and she managed all inspections, appraisals, repairs, and walkthroughs efficiently and thoroughly so that I could close in less than 30 days. She kept in close contact with me to ensure that I knew what was going on and what needed to be done throughout the process. It truly couldn’t have gone any smoother than it did, thanks to the tremendous effort that Terri put in! I will definitely be using Terri for all of my future real estate needs! "In the winter of 2016-17, my wife and I worked with Terri at Engaged Real Estate to sell our home. We could not have been more pleased with the attention she gave us and most importantly the outcome. We were relocating from Lantana, Texas to Seattle, Washington, and while our relocation company requested us to work with their in-network agent, we chose Terri as our realtor based on the strong recommendations we received. While winter is not the best time to list a home, our house was under contract in just over two weeks, at our asking price, in large part to Terri pricing our home perfectly. Terri brought in a fabulous photographer to showcase our home online, which created considerably more foot traffic and brought in serious buyers. The marketing team at Engaged Real Estate is top notch and cannot be beat. Terri was wonderful in keeping the transaction moving along and getting to closing in a timely manner, and she was always available to answer our questions, seven-days per week. If you are going to sell or buy a house, I highly recommend you choose Terri at Engaged Real Estate. You will be pleased with the experience… and the results." Due to my fiancé’s job relocation we needed to have our home sold ASAP. We called Terri and she had buyers ready to go before our home was even listed. She worked with a great team and we were able to have our home sold and closed within 20 days. Would highly recommend her to anyone looking to sell (or buy) in the future. She was very thorough in explaining each process and always available to answer our questions. Loved her energetic and bubbly personality! Would use her again in the future if we ever come back to Texas! Thank you again, Terri! Top marks across the board! We can’t say enough about Terri and her entire team. We were relocating to Texas, and Terri’s knowledge of the area and negotiation skills were unmatched. From start to finish, she made the entire process of buying our home (remotely) as seamless as possible. She was always prepared and very focused on our transaction. Not only can you rest assured you are in the most capable hands, but those of a friend. We will recommended Terri and team whenever asked and could not make a stronger endorsement, if you are looking to buy or sell a home. We wanted to sell our house quickly and that is just what Terri Augustyn did. She held several open houses, she held a private viewing party for the local businesses and residents and she did all of the work herself. We had a buyer in three weeks and were able to move into our new house by the end of the year. We would recommend Terri to anyone wanting to buy or sell in the local market. She is dedicated, hard working and great to work with.  Engaged Real Estate Group partners with Keller Williams Realty an American technology and international real estate franchise. We know NO borders. Especially when it comes to marketing or searching for your new dream home.